If you’ve tried growing healthy succulents in the past but always ended up with dead plants, please don’t give up. You can do this! You might think you have a brown thumb, but believe it or not, you can grow healthy, vibrant succulents if you learn exactly what they need to thrive. 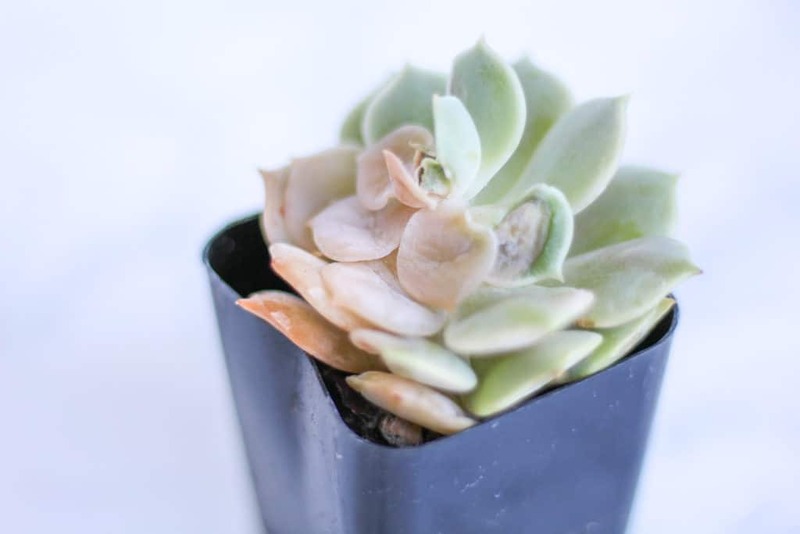 If you learn how to properly care for succulents and pay close attention to the signs, you’ll be able to diagnose what’s going wrong with your succulent with enough time to save it. Yes, succulents are low-maintenance plants that do well across different hardiness zones. They can be grown indoors almost anywhere as long as they have access to sunlight (or a growing light!). It’s why people all across the globe love them so much. They’re not only interesting to look at, but their demands are also simple and straightforward. They can even be grown alongside other low-maintenance perennials if they’re being grown outdoors. Sometimes, however, you can hit a few bumps in the road. You might find yourself staring at a succulent that just doesn’t look right. It doesn’t look healthy, vibrant, or happy. 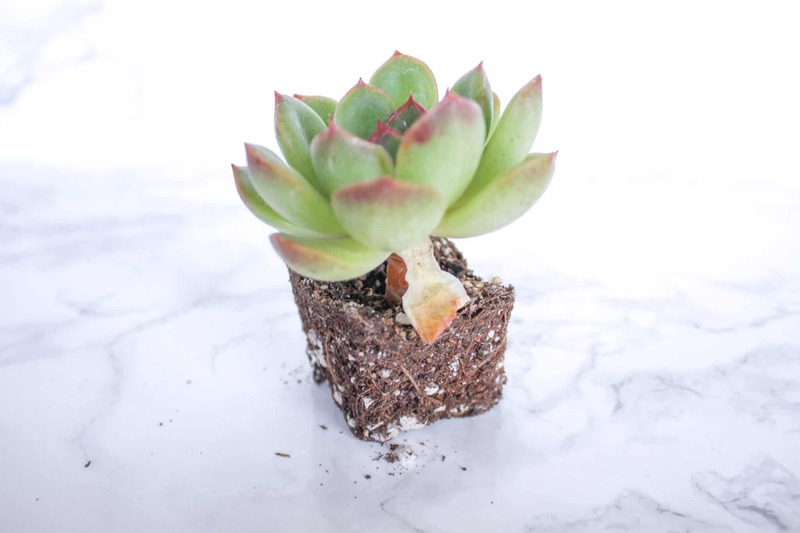 The issues outlined below are the most commonly encountered problems when growing succulents. They’re what cause the most frustration among gardening beginners and experienced gardeners alike. Let’s talk about what those things are and how you can fix them! That’s right, succulents and cacti are drought-tolerant but they do need water to survive. These beautiful little plants store water in their stem and leaves, which is what makes them so hardy and resistant to drought. It’s also what makes them the perfect plant for creating gorgeous crafts, like these Succulents Christmas Ornaments and this Succulent Centerpiece. Since succulents don’t require regular watering, they hold up well as crafts for several weeks. The biggest reason so many people accidentally kill their succulents has to do with the way they are watering them. Succulents won’t demand much from you in the way of regular pruning or fertilizing like other plants do, but one thing they are particular about is their water and moisture levels! In fact, the surest way to kill your succulent is by over OR under watering it. Since succulents are drought-tolerant plants, they should only be watered when the soil they’re sitting in has gone dry. What’s the best way to tell? That’s simple: you don’t need some fancy tool to tell you when it’s time to water your succulents. Simply stick your finger into the soil. Does it feel dry? If it does, it’s time to water your succulent. Water it until you see water escaping from the drainage hole. Then rid the saucer of any remaining water. Yes – you need to empty the saucer of any water. If you skip this step, the bottom of your pot will sit in that water for hours, which can (and from my experience, will) cause your succulent to rot. Yikes! Just look at the evidence, below. See those yellow, soggy leaves? I accidentally left this poor little plant in a water-filled saucer for a few hours after I watered it. Within two days, the roots and leaves started rotting. I felt terrible! Unfortunately, once your succulent starts to rot, it’s time to throw out the infected plant. Learn more about when and how to water succulents with this in-depth post. On the other side of the spectrum is underwatering. Many people believe that succulents can go weeks and weeks without water because they’re drought tolerant. That’s simply not the case. Your succulents will eventually dry up if you don’t water them when the soil is dry. They’ll rely on the water that’s stored in their stem and leaves, but when that’s depleted, they’ll be left with nothing to survive on. 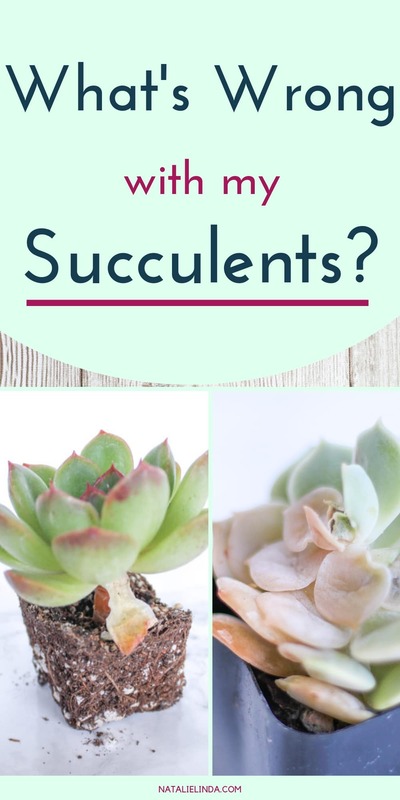 How can you tell your succulents have been underwatered? 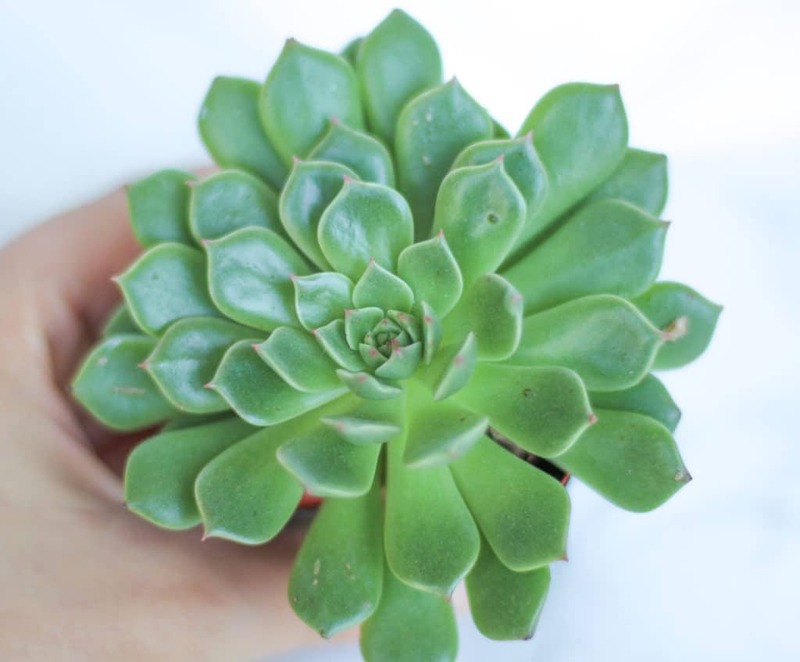 The leaves in the middle and towards the top of the succulent will appear brown and crispy. They simply won’t look the way they did when you brought them home. To fix this issue, try checking on your succulents every few days. If the soil feels dry, water them thoroughly. In my growing zone (9b) I usually water my plants about once a week, maybe twice if the weather is warmer or my plants look underwater. For more on how to water succulents, click here! If you planted your succulents or cacti in regular potting soil, that was your first mistake. 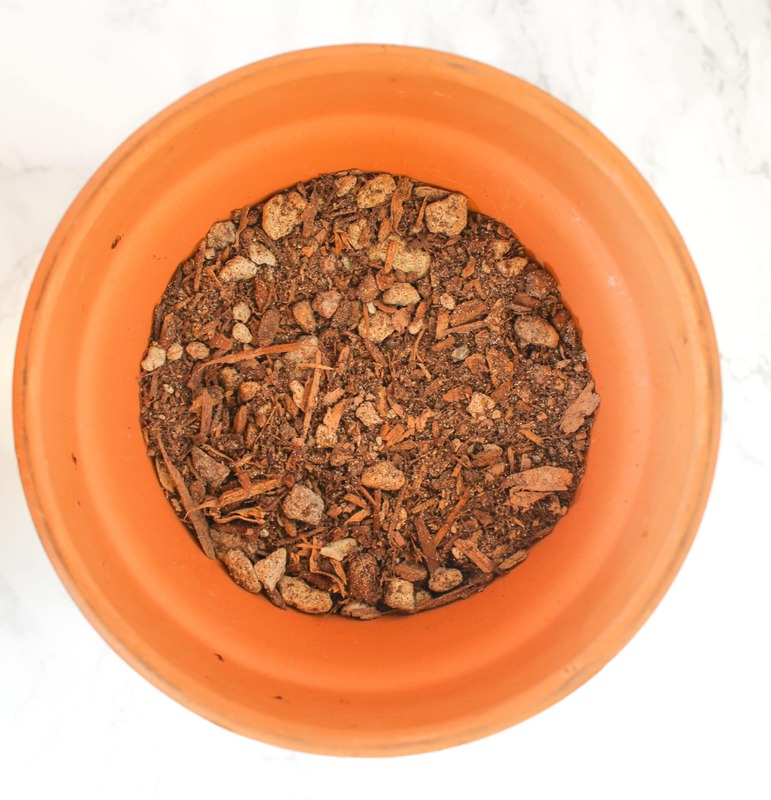 Regular potting soil is meant to retain moisture, which is something you want to avoid when growing succulents. Succulents simply do not do well if their soil is too moist. Too much moisture will lead the roots to rot, which will kill your plant and leave you feeling frustrated. You should always plant your succulents and cacti in cactus mix. Cactus mix, as shown below, is made up of soil, pumice, small sticks and sometimes sand, which is what makes it fast-draining. It’s what helps the water move through the soil and out of the drainage hole. When I first saw brown, dead leaves at the base of one of my succulents, I wondered why my new plant was dying. Now, of course, I understand that brown, dying leaves at the bottom of the plant mean that the succulent is making room for new leaves. It’s a natural process and not something you should worry about! But what do you do about the dead leaves? All you need to do is gives those leaves a gentle tug and they’ll fall right off. Discard the leaves and voila – you’re done. You now have a healthier looking plant again. Stretching is something that can frustrate even the most talented gardener. It’s a consequence of not taking care of your succulent properly. I love the compact shape and look of succulents and I bet you do, too. In fact, it’s probably what I love about them the most. Take Echevarria Lolas for example. This variety is shaped like a rosette and looks awe-inspiring when it holds its compact form. 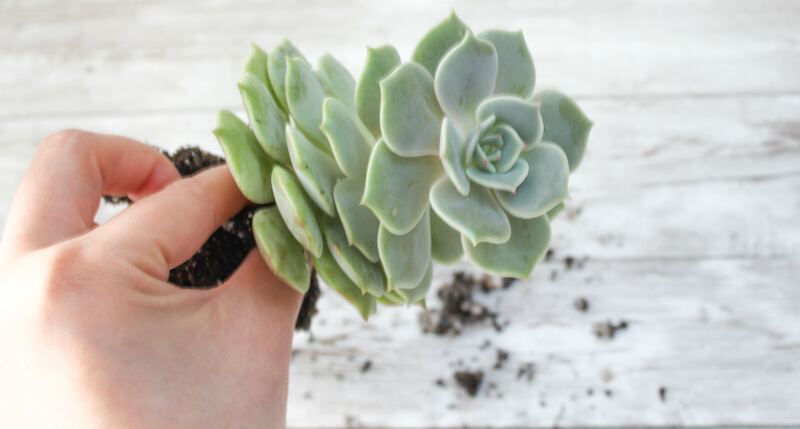 If your succulents are stretching out and up in a way that makes them lose their shape, as shown below, then they’re not getting enough sunlight. Unfortunately, once succulents stretch out in a process called Etoliation, they can never go back to their original form. Etoliation is a process in which plants literally stretching themselves out in search of the nearest light source. It’s a survival technique! While you might not like your succulent’s new form, the good news is that it’s not going to die. It’s simply taken on a different shape and aesthetic. To prevent your succulents from stretching, make sure you place your pots in an area that gets about 6 hours of indirect sunlight each day. If your stretched out succulent really bothers you, however, you can propagate it to make new plants! Simply tug off the leaves in a gentle manner to ensure a clean break from the stem, let the leaves callus over a few days, then place the leaves on top of cactus mix. In a few weeks or months, the leaves will begin to grow roots and little baby succulents! For a step-by-step guide, head over to my post on How to Propagate Succulents from Leaves. Gardening and insects go hand-in-hand, unfortunately! When growing succulents, mealybugs are something you want watch out for and deal with right away because this garden pest spreads quickly. If not caught early enough, the mealybugs will continue to lay eggs and multiply; they can even spread to other pots and plants. 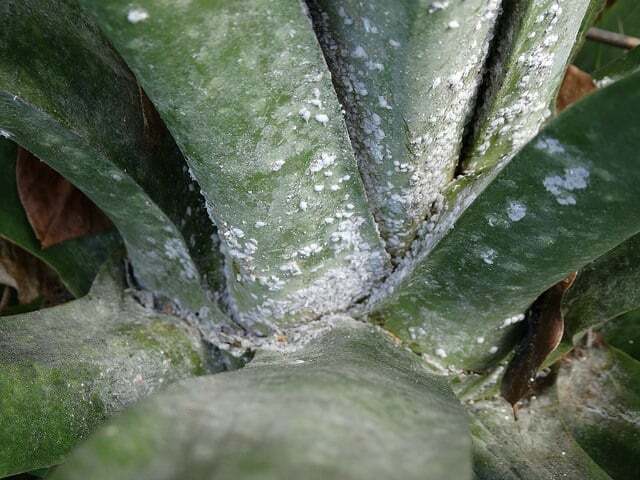 If you see specks of white mounds on the leaves of your succulents, you probably have a mealybug problem. Don’t freak out, though! There’s a quick and simply DIY solution to this and it calls for a few Q-tips, rubbing alcohol, and a spray bottle. If you see just a few white specks on your plant, simply dip the q-tip into the rubbing alcohol and then swipe away at the mealybugs. Do this until you don’t see any more white specks. 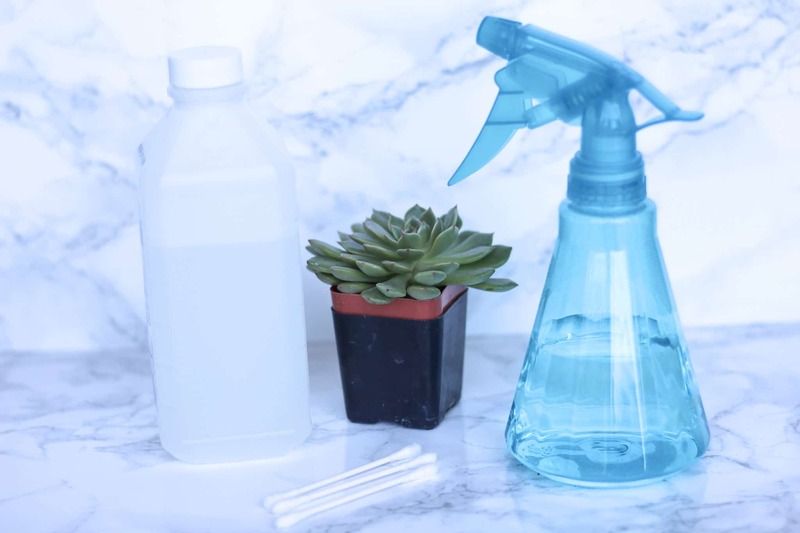 If your plant is very infected, you can fill your spray bottle with water and rubbing alcohol, and drench your plant with the solution. For a more in-depth tutorial about how to get rid of mealybugs, head over to my post here. Awesome! So glad you found this helpful! Thank you for saving my succulent!! Your information is priceless, and I can now buy additional succulents confidently. They are such hardy little guys and cute to boot.